Human Rights Defender needs urgent cancer tests. Iranian human rights defender Arash Sadeghi has been diagnosed with a bone tumour that may be cancerous. The authorities are disregarding medical advice which recommends his immediate transfer to a facility specialising in cancer treatment. Critically ill prisoner of conscience and human rights defender Arash Sadeghi, aged 31, has learned that he has a tumour in his elbow that may be cancerous. Over the past 18 months, he has experienced persistent pain in his elbow and shoulders. Instead of referring him for diagnostic tests, the prison clinic had only prescribed him anti-inflammatory drugs. Doctors discovered a tumour in his elbow and advised that he be immediately admitted to the Cancer Institute of Imam Khomeini Hospital to establish whether it was cancerous. However, he and his family have not been allowed by the Prosecutor’s Office to see his entire medical file. 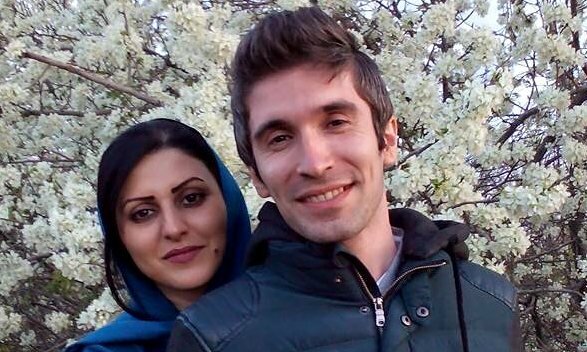 Arash Sadeghi has talked to a member of staff at the prison clinic who told him that “time is of the essence” in his situation and that he should be immediately tested for bone cancer. His family subsequently appealed to the Prosecutor’s Office in Tehran to authorise his transfer to Imam Khomeini Hospital. However, the Prosecutor’s Office rejected their request and insisted that his treatment take place in Madani Hospital in Karaj. Amnesty International is concerned that Madani Hospital does not have the necessary equipment and expertise to diagnose and treat bone cancer. This hospital also has a partnership with the State Prison Organisation, which allows the authorities to exercise full control over prisoners’ medical records and to restrict or withdraw access to these records from prisoners and their families.